Playing great games averagely. Reviews, rumors, and more! Updated 2/27/19: Added announcement video. 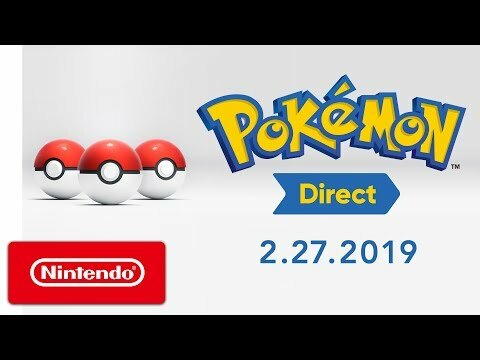 Nintendo announced that there will be a 7-minute Pokémon Direct for tomorrow, February 27 at 8am CT. With tomorrow also being Pokémon Day or the anniversary of the very first Pokémon games being released in Japan, there is a lot of speculation that Generation 8 will be revealed in full after first being mentioned at E3 in 2017. What do you think? What real world location would you like to see a Pokémon game based on? Let me know in the comments below! Welcome to Your Average Gamer! We’re here to talk about great games while playing them in a way that’s only okay. Check back with us soon for reviews, rumors, and more!